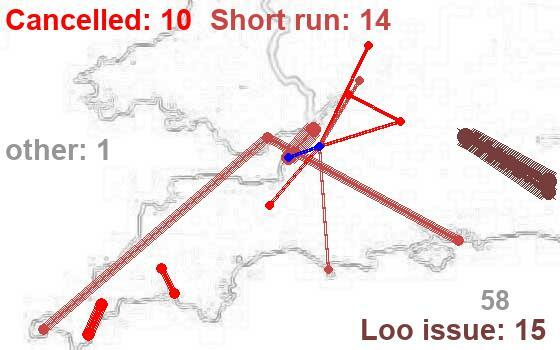 it is easy to blame the problems of FGW on the DfT's franchise specification. The franchise terms gave the company very little stock and little spare money to spend on improvements and failed to take into account the continued growth in passenger numbers. A similar sorry story have been told about the Northern franchise. It was set up a few years ago in the North of England. The franchise specifcation gave the operatator no new stock and was based on zero-growth assumptions. But Northern cities such as Leeds were booming and commuting was on the increase. this lead to terrible overcrowding, record complaints from passengers and low staff moral. But despite the odds being staked against them, Northern worked with the regional development agency, the local councils, the rolling stock companies and passenegrs to find come more trains at affordable leases and to channel fare increases into paying for this extra stock rather than paying the shareholders. They have now been awarded a national rail award for pulling this off and passenger satisfaction is climbing again. If they can do in it Yorkshire, why can't we do it in teh South West?